For the most demanding sand blast cleaning works, OLIMAG brings you its JETMAG® family of abrasive sands. With its strong breakage resistance and high execution speed, JETMAG® represents and exceptional cost / efficiency ratio that set it apart in the industry. A maximum protection for the worker and his environment ! 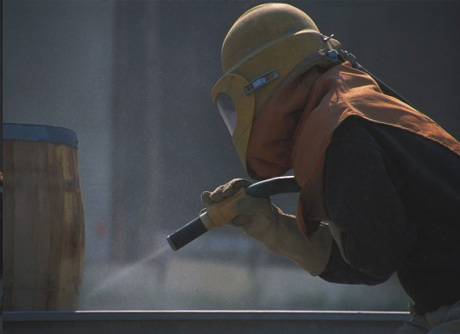 JETMAG® contains less than 1 % of free silica. 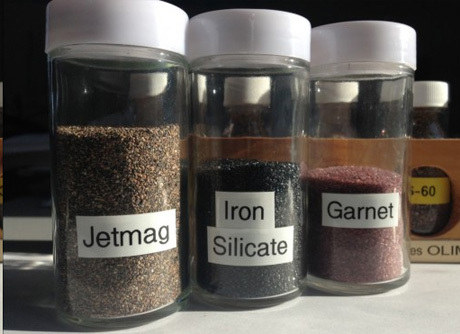 JETMAG® Contains no heavy metals and no toxic elements. JETMAG® Not listed as dangerous waste when in need to be disposed. JETMAG® with Its low density (specific weight) means a higher quantity of material (volume) for a given weight. Kanoo Blue are exclusive agents for JETMAG® in the GCC region.